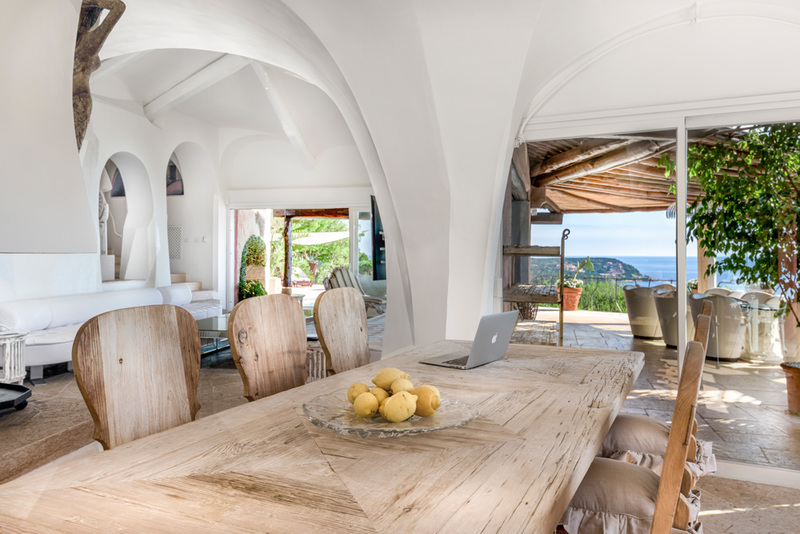 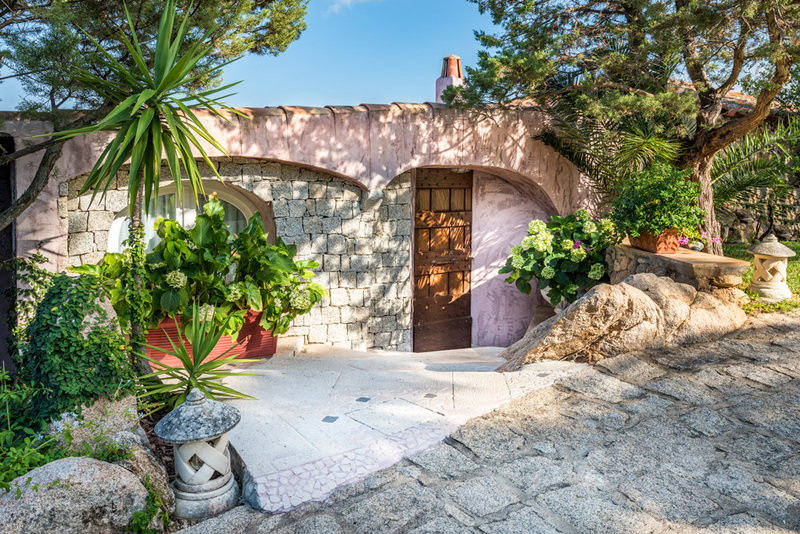 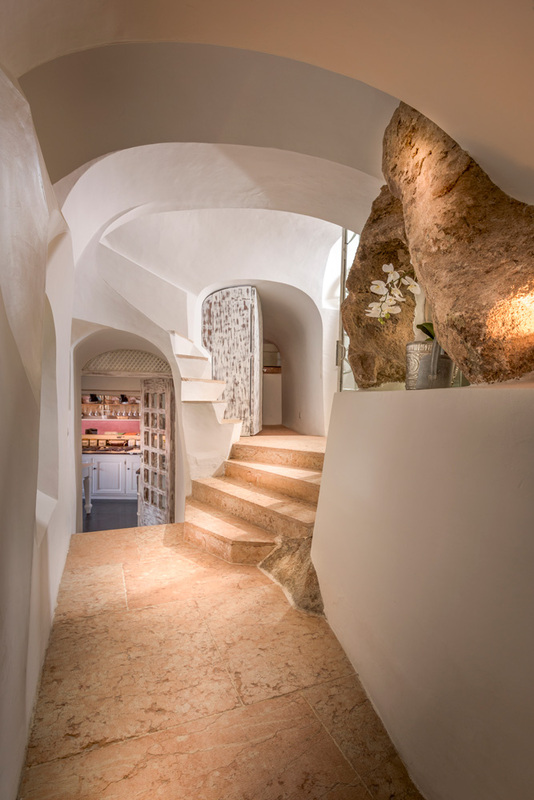 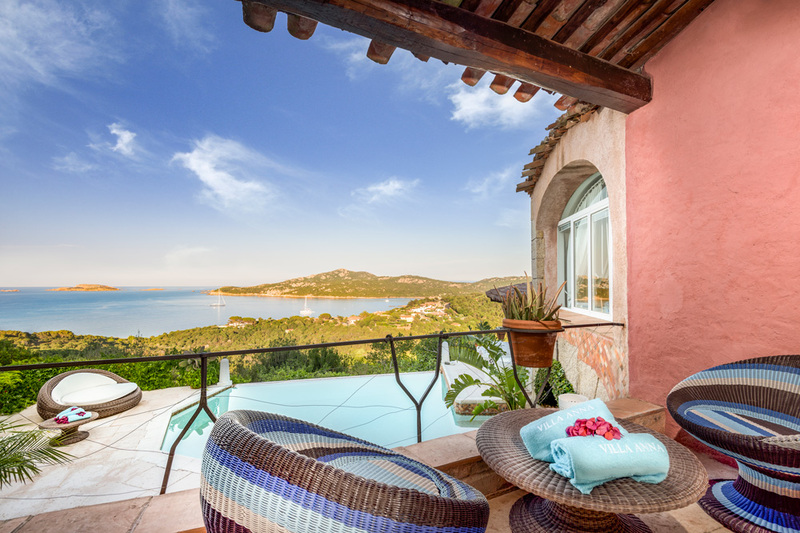 Set on the hills of Pantogia, with breath-taking sea-views towards Pevero Bay, it will be hard to tear yourself away from Villa Anna della Pantogia. 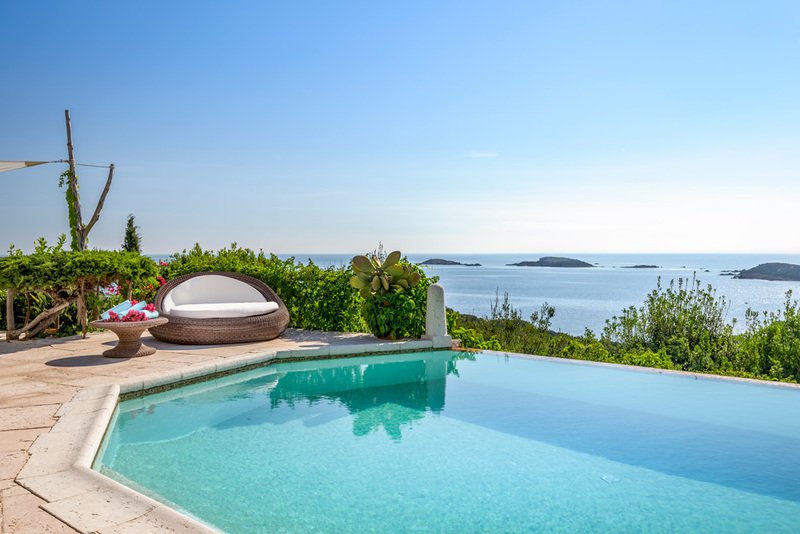 Whether you fancy lazing by the stunning infinity pool, losing yourself in a book on one of the pretty terraces or just gazing at the sea all day, this holiday home offers something for everyone. 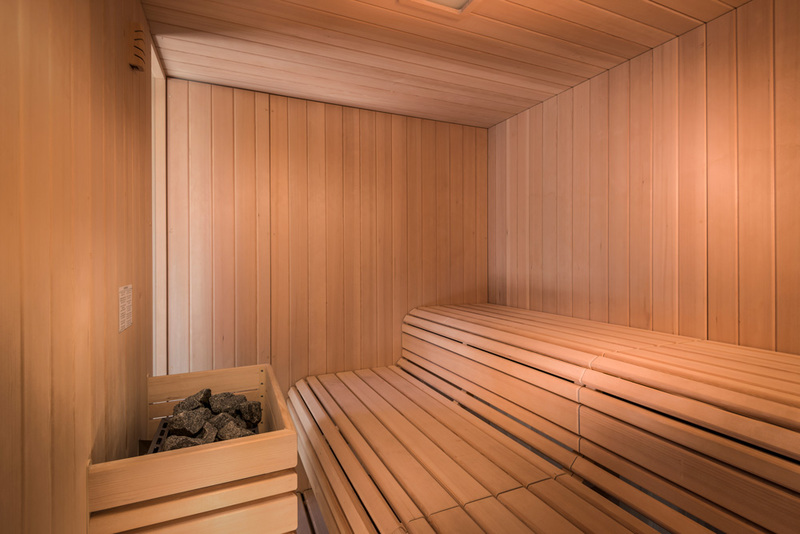 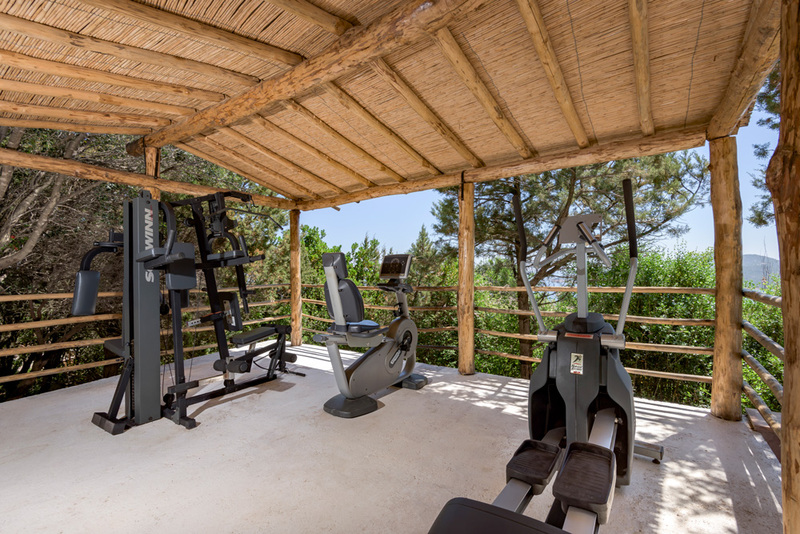 It even has its own outdoor gym and a sauna and massage room for lazier days. 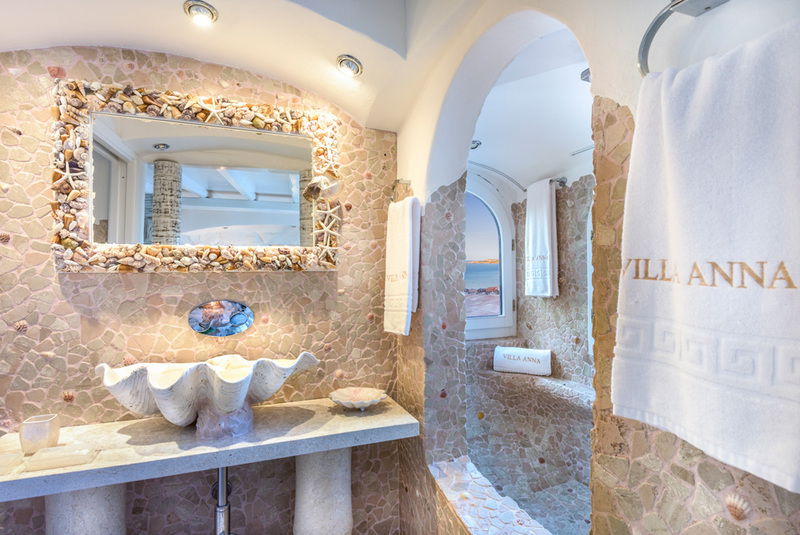 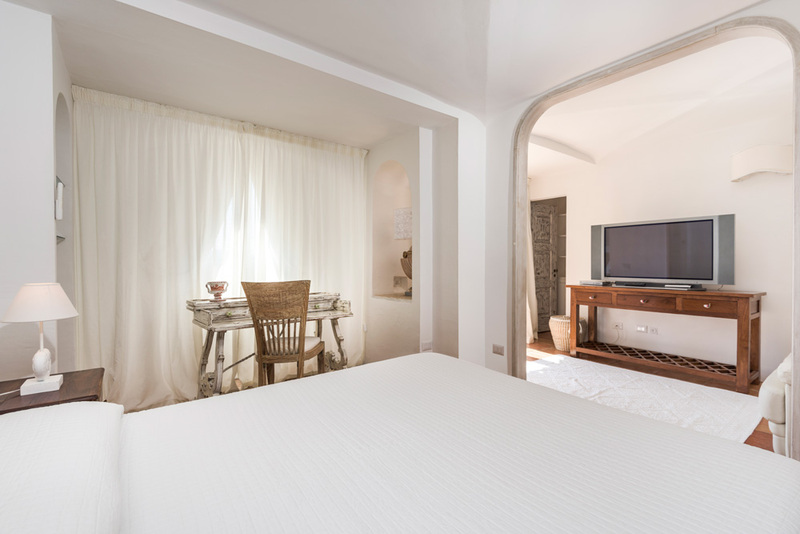 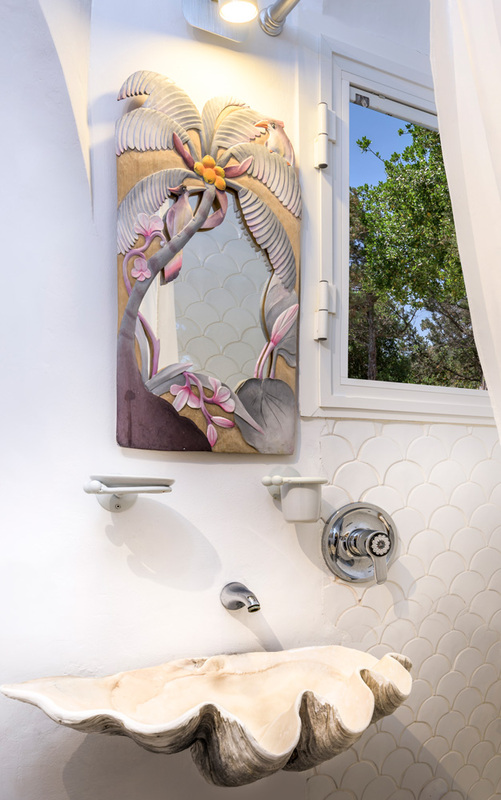 Furnished in modern, opulent Italian style, the owners have provided every comfort you will need. 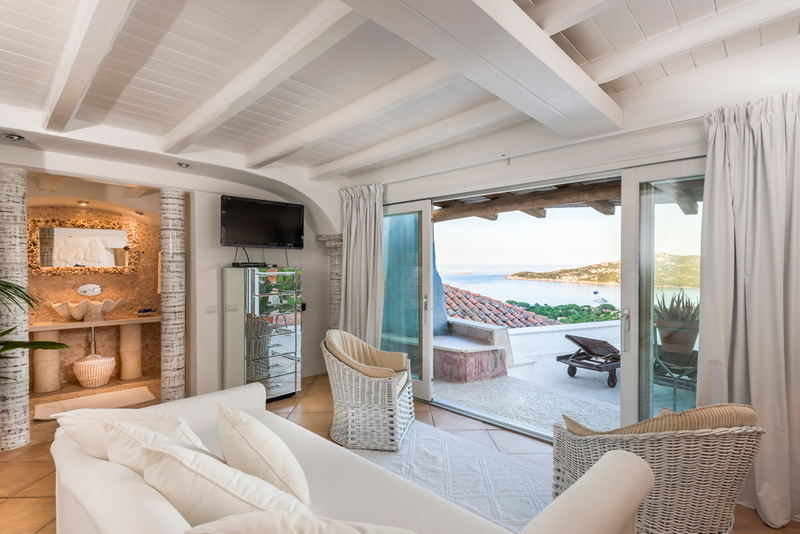 The bright and airy living room, with its feature fireplace in the heart of the room, has huge glass doors opening on to the spacious outdoor dining veranda. 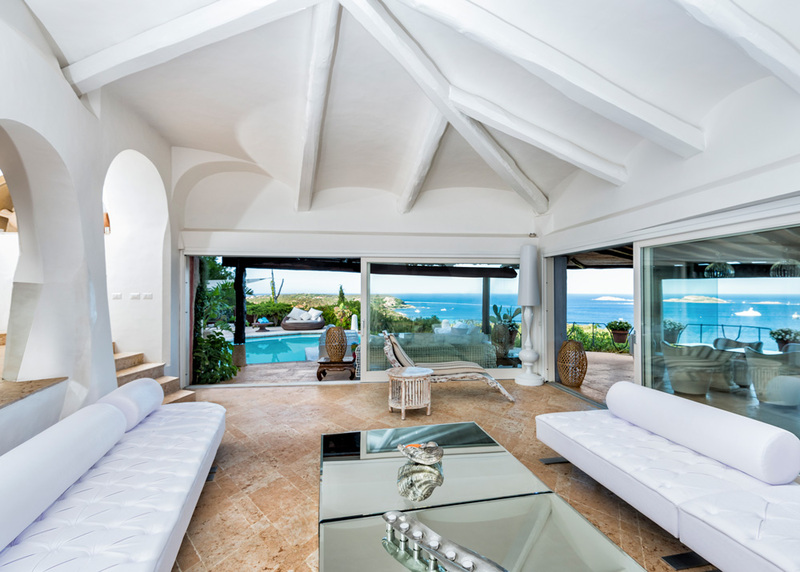 Throughout this space you are greeted with exquisite views of the nearby turquoise sea. 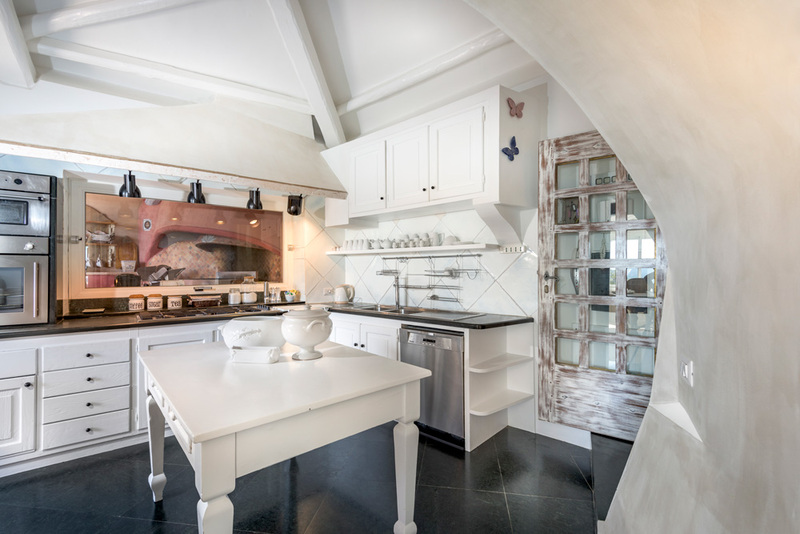 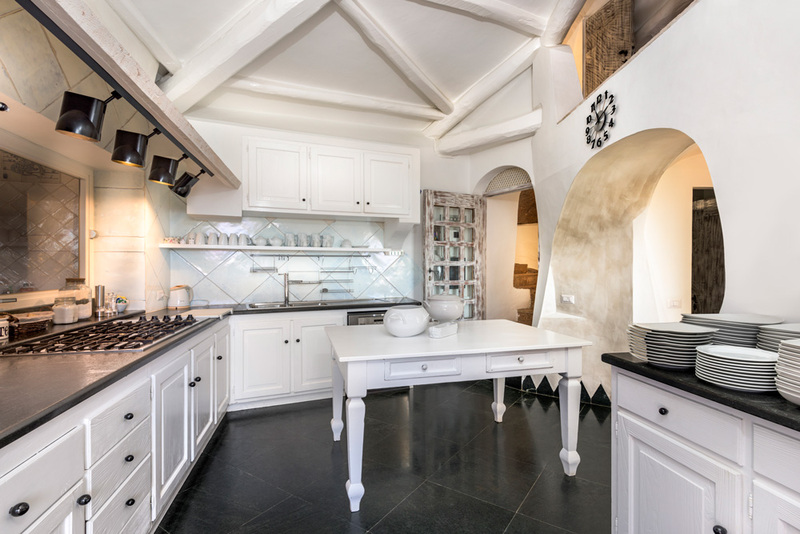 Keen cooks will enjoy using the stone barbecue and well equipped kitchen to prepare meals for the family. 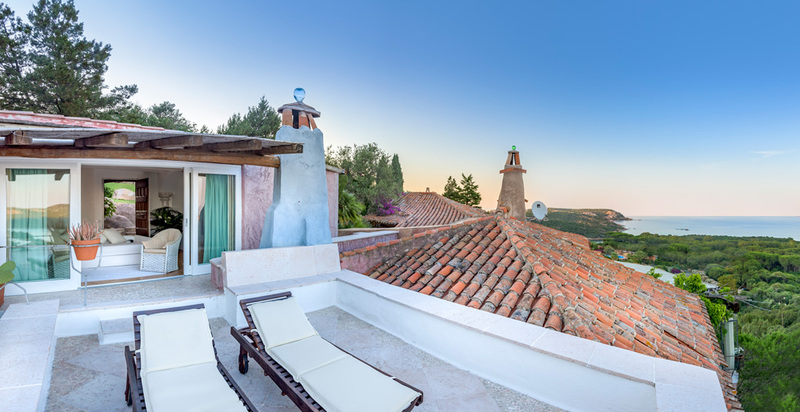 However, if you can’t tear yourself away from the pool, the villa has its own private chef and waiter service to cater for your culinary needs, whether you wish to sample some local delicacies or simply have a pizza from the outdoor wood fired oven. 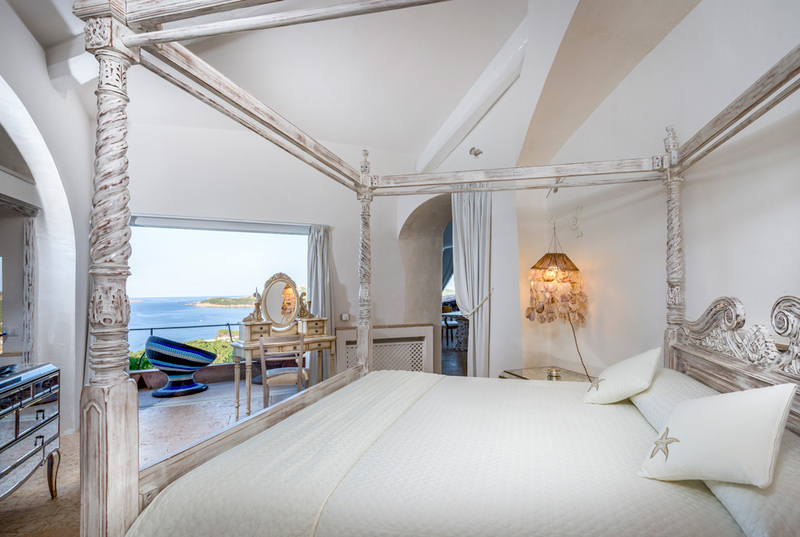 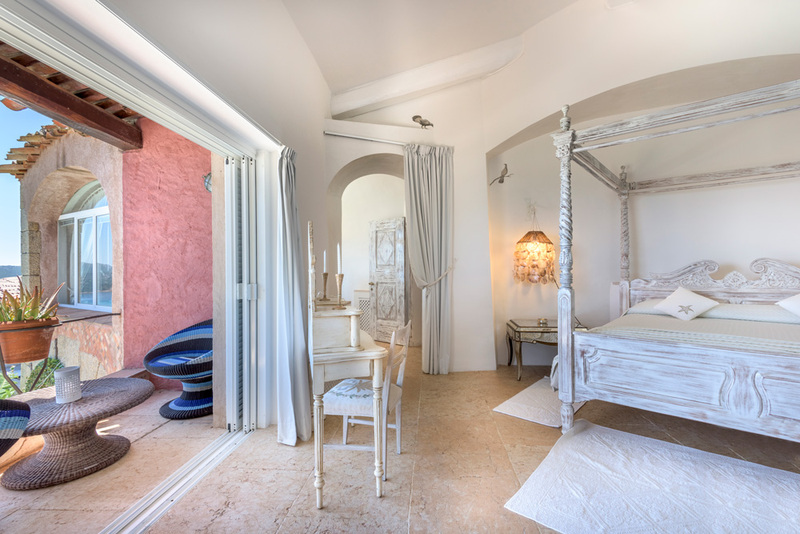 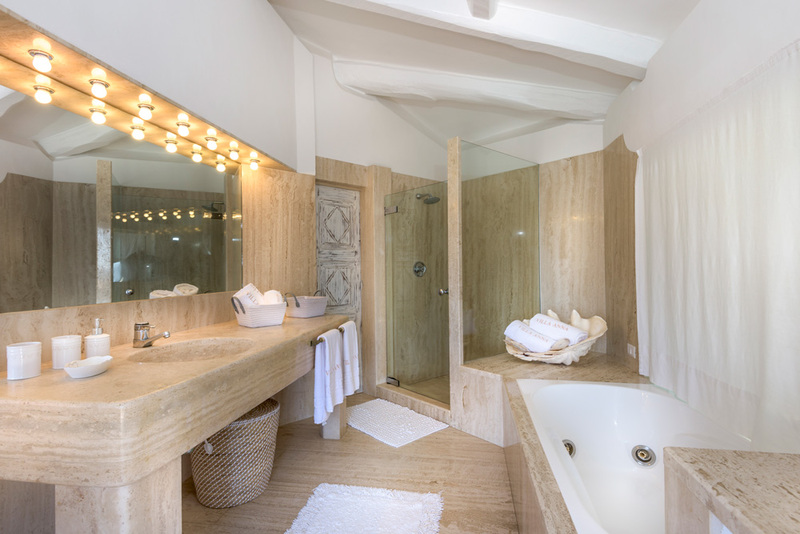 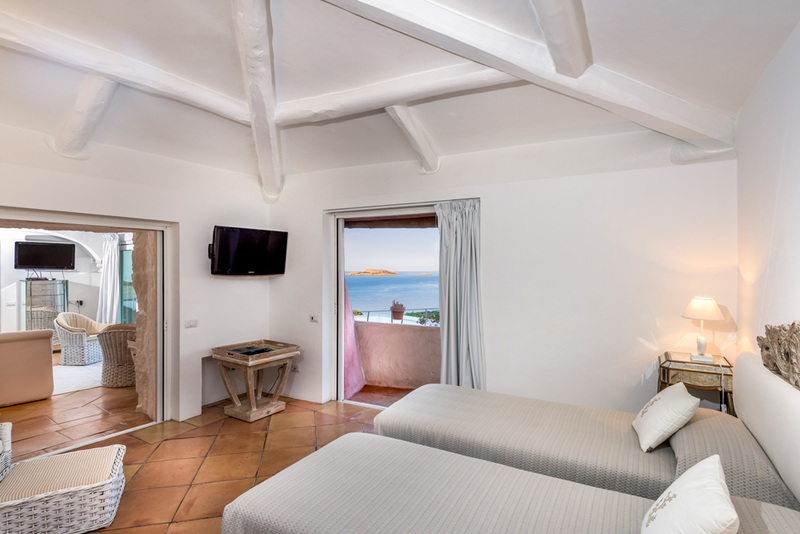 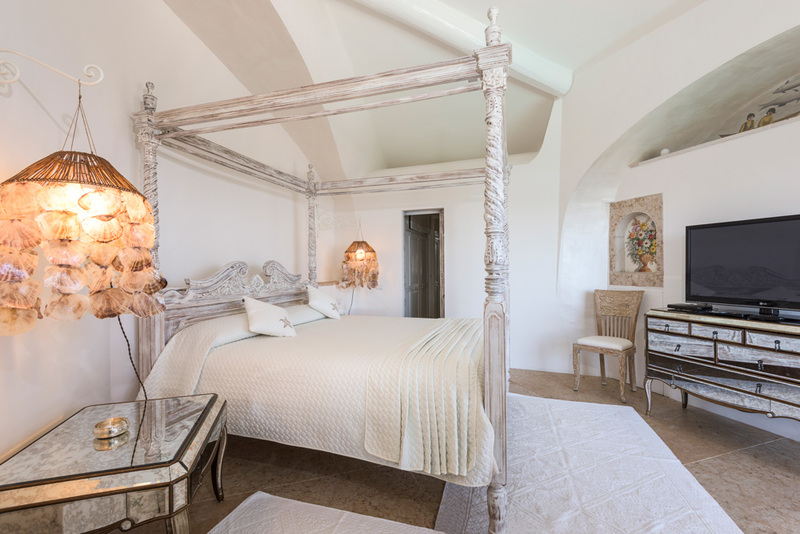 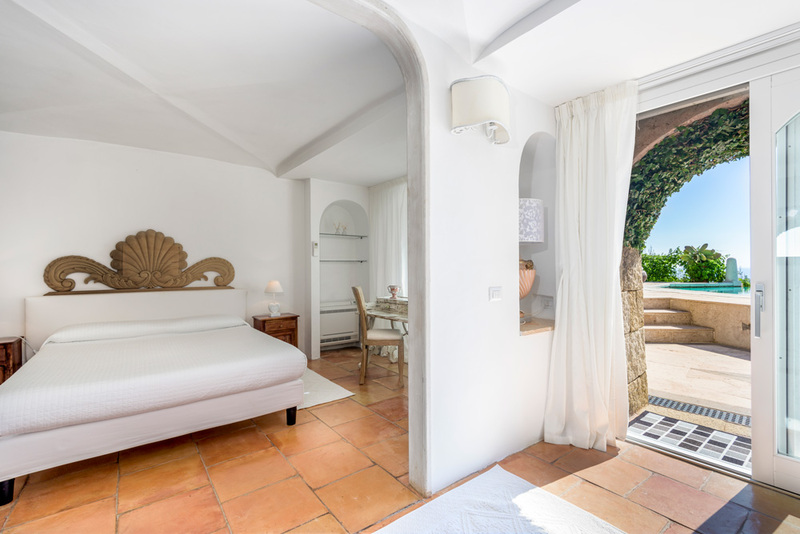 The grand master bedroom has its own terrace overlooking the pool and sea and there are five further pretty rooms, all with their own stylish bathrooms. 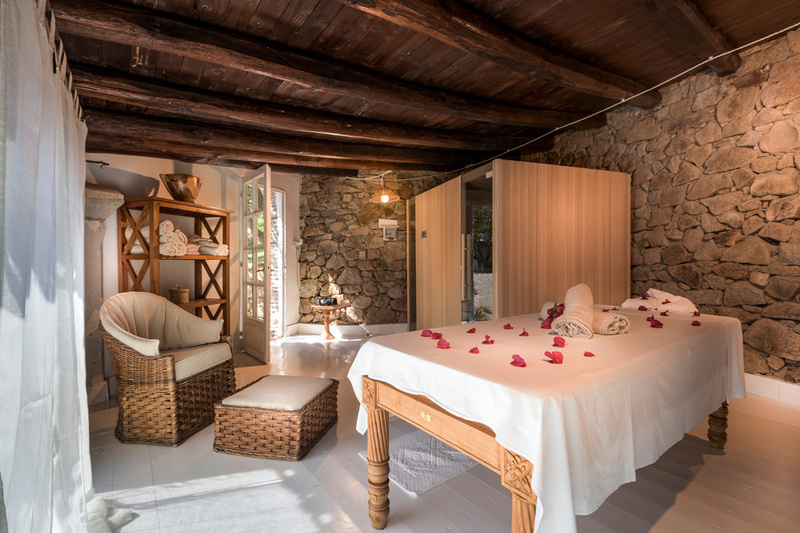 Exposed ceiling beams, simple yet beautiful furnishings and great attention to detail gives the villa an overall feeling of charm and luxury. 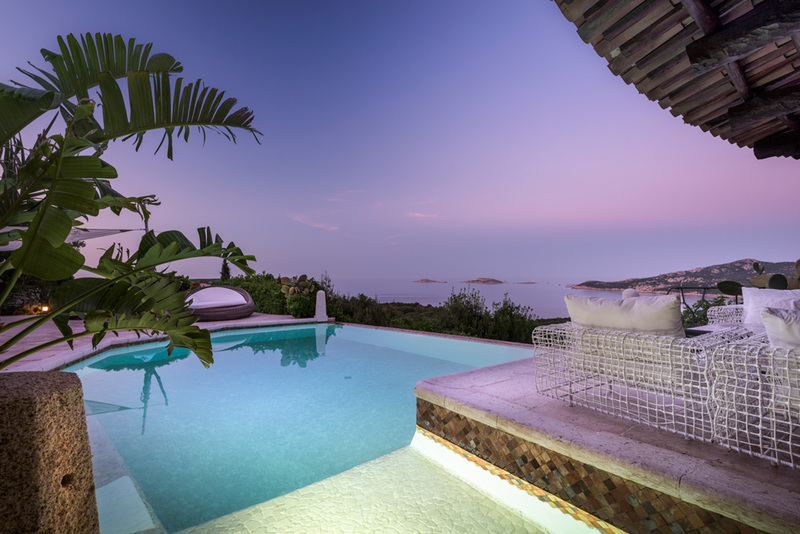 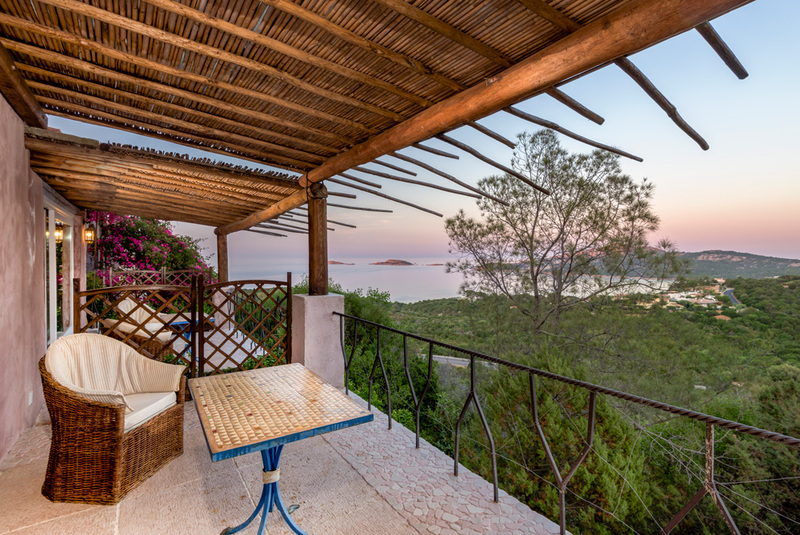 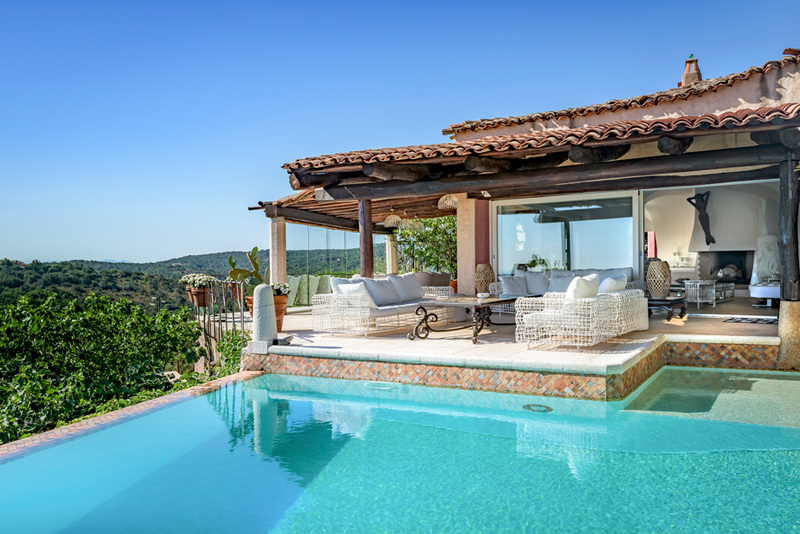 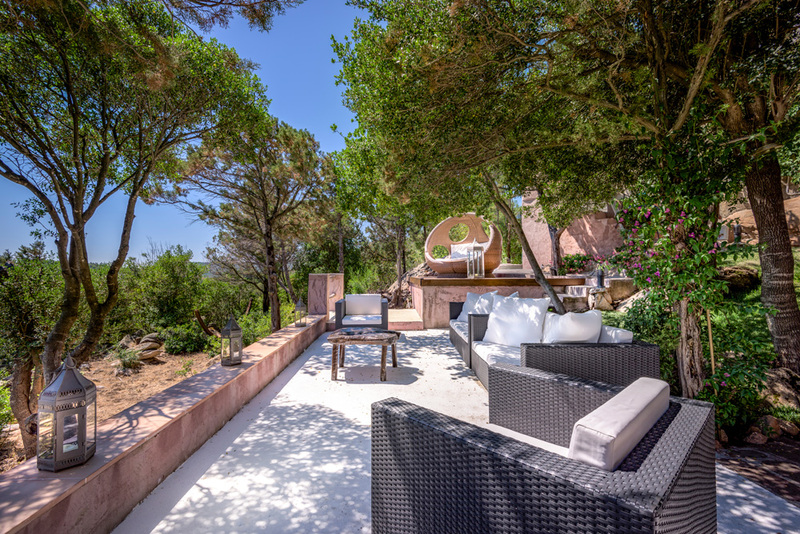 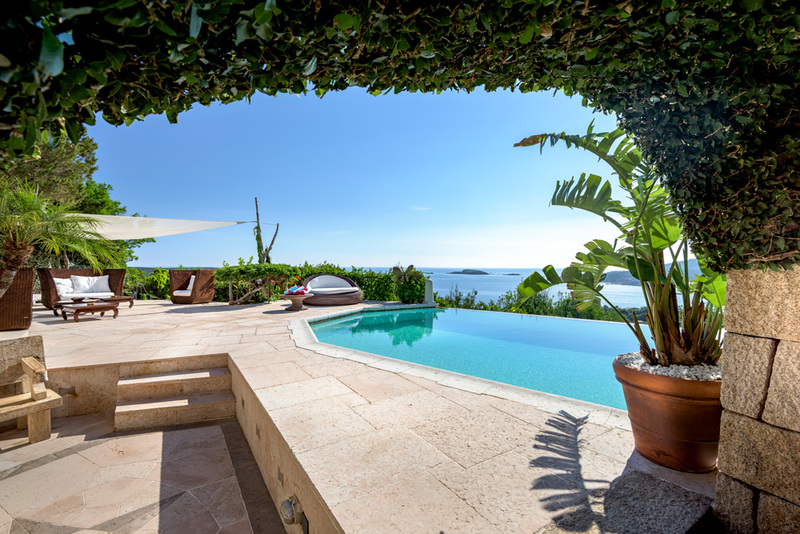 Set in the hills of Pantogia, with stunning views of Pevero Bay, this luxurious holiday home is perfectly located to explore all that the emerald coast has to offer. 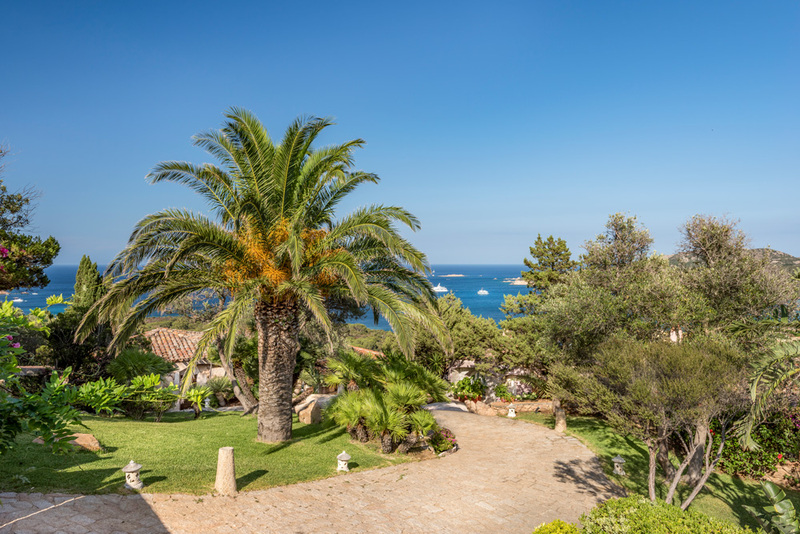 Exclusive Porto Cervo is just 2 kilometres away where you can celebrity spot at the marina, dine in one of the many upmarket restaurants or shop to your hearts delight in the many designer boutiques. 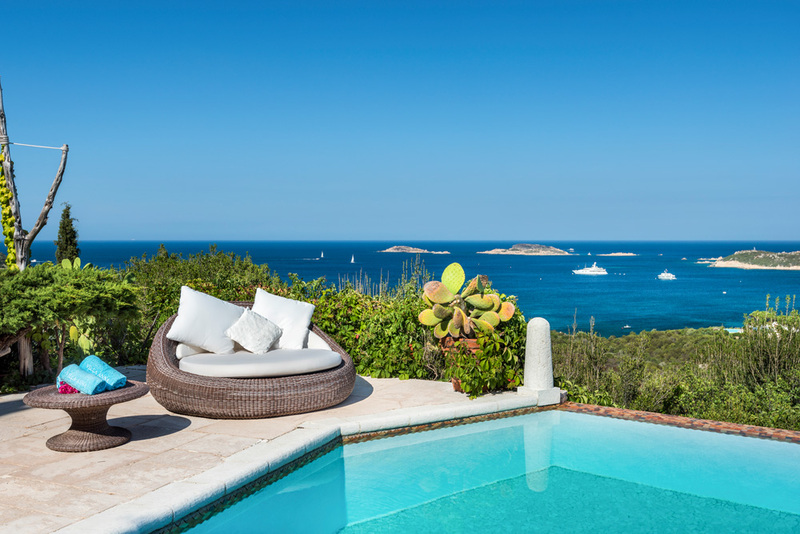 Created in the late 1950s by Prince Karim Aga Khan to be a prestigious retreat for the wealthy, Porto Cervo has gained a reputation for glitz and glamour. 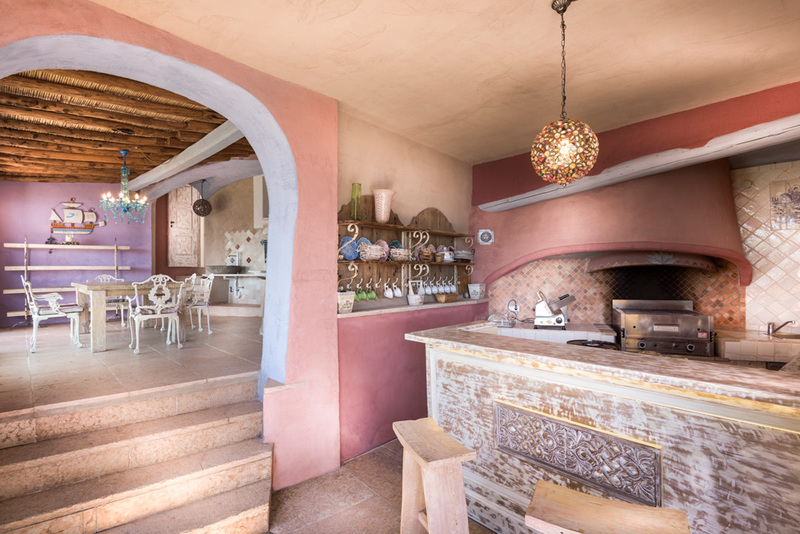 There are numerous fine dining options dotted throughout the town but if the luxury gets too much then why not opt for a simple and more affordable pizzeria. 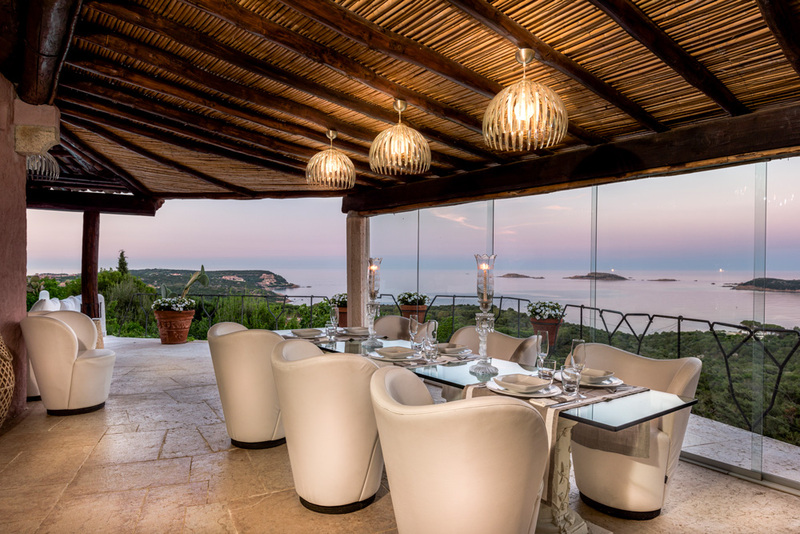 Golf-lovers be sure to visit the Robert Trent Jones-designed Pevero Golf Club nearby, arguably one of the finest in the world.